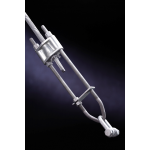 The Telescoping Antenna Mount is designed for use on Transmission, Antenna, Communications and other types of straight leg self-supporting or guyed structures. The Antenna Mount comes 90% preassembled to ease the installation process. 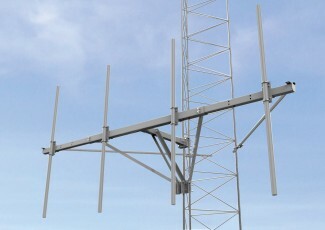 The adjustable Antenna Mount design can accommodate 10', 12' or 15' face widths with one design. 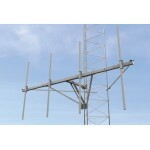 Antenna Mounts are designed to hold maximum loads and 120 mph wind speeds (test report available upon request). The Antenna Mounts were tested both with balanced and unbalanced loads. 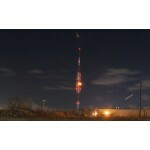 The Antenna pole assemblies were also tested for a vertical slip test.